If you’ve been around the world of horticulture for any time, you’re probably familiar with Debra Lee Baldwin’s work with succulents. Her first two books, Designing with Succulents and Succulent Container Gardens, are still the most thoughtful, in-depth guides to those topics available. However, both of those books have so much information that you could say they are aimed more towards a deeply passionate hobbyist or a professional like myself, rather than the casual gardener. In certain situations, I think it can be even more helpful to have a simpler reference which condenses the most actionable information available into one easy-to-use guide. 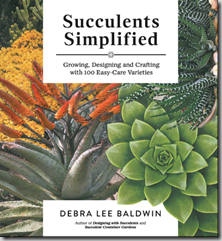 That’s where Debra’s new book, Succulents Simplified, comes in. Even though I’m a landscaping professional, I’m definitely no succulent expert, so having Debra’s keep-it-simple tips for how to succeed with them are incredibly useful to me. She goes over everything from creating designs using the varied shapes, colors and textures of succulents, choosing the right location so they’ll succeed, and the right way of maintaining these plants so they continue looking fresh. The information is presented in a clean, easy-to-peruse format with a lot of bullet points and lists making it easy to find the information you’re looking for. Then, the second section has eight gorgeous DIY projects to get you more enthused and involved in the succulent world, with each section having multiple pages of detailed how-to photos and instructions. Want to grow succulents in a low light situation? Create one of those living picture vertical gardens you keep seeing in the magazines? What about a succulent-topped pumpkin to sit by your front door as autumn decor? She even goes into how to make succulent bouquets for special occasions, such as a wedding. What I love best about this section is that Debra gives us the tools to create our own projects from her instructions – not only is there endless variety in terms of which succulents you choose, but each project has huge potential for you to personalize it and make it your own in other ways. Though the first two sections are the most immediately exciting, I suspect the third section, 100 Easy-Care Succulents, will actually get the most use from me after I learn from the first section and do a few of the projects in the second. I confess that when I go to the nursery, I feel a hint of trepidation when I try to choose which succulents to use in my container planting projects. 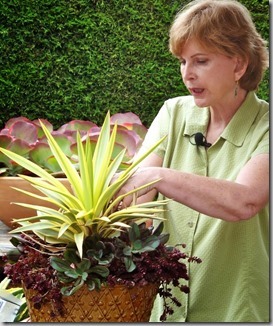 Debra demystifies the hardiness, habits, and best uses for each of the 100 succulents featured. This is exactly what I have needed all these years – a pictorial guide to some of the most common and useful succulents out there. With Debra’s help, I feel like I’m finally learning to identify and understand Kalanchoes, Graptoverias and the rest. 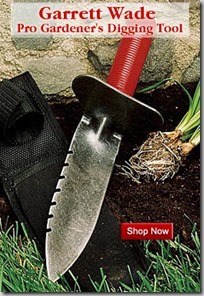 The only thing that could be better is if Debra would also release an app that I could take along with me to the garden center! I’d be remiss if I didn’t mention the quality of the photographs in this book. Debra Lee Baldwin isn’t just a writer; she’s a noted photojournalist and took many of the pictures for this book herself. One of my main complaints about many recent releases in the horticultural book world is that the photos and the writing often don’t seem to go together as smoothly as they could. Either the photographs are close-ups of plants and don’t fully illustrate the design tips, or the pictures don’t have a consistent style throughout the book. Because of Debra’s skill at both writing and photography, her book is a shining example of all that print publishing can and should be doing to ensure that photos and text work seamlessly to enhance one another and the aims of the book. 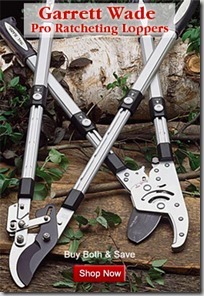 The book is packed full of photos, with multiple pictures illustrating each point or plant. I can’t say enough about what a difference this makes to my enjoyment of the text. Succulents Simplified is being marketed as a prequel to her other books, and I think that’s completely accurate. I adore the in-depth information in her other two books and refer to them frequently, but I think the ease-of-use, inspirational photos and DIY projects, and the simple reference guide to the most common and noteworthy succulents is going to make this my favorite of the three to recommend people start with, because it has a little bit of everything you need, no matter how deep your interest in succulents. If you’re as excited as I am about the release of Debra’s new book, you’ll want to pop on over to Gardening Gone Wild this week as they celebrate the launch of the book with the biggest succulent-inspired giveaway to date! Debra’s giving away over $880 worth of succulent goodies including an original watercolor of an agave painted by Debra (yes, multi-talented much? ), a private container workshop with Debra in San Diego, a bouquet of a dozen succulent roses made by Debra from a DIY project in the book, a beautiful Graptopetalum mug. . . the list goes on! Enter the contest here. Hi, Gen — Many thanks for the comprehensive review. I enjoy the way you write (and not just because my new book is the subject)! I love plants, but being a career journalist, I love words even more.